While AZ Hand Trucks LLC. maintains copyright protection in all materials, information and publications (collectively, “Web site information”) it places on this Web site, AZ Hand Trucks LLC. consents to normal downloading, copying and distribution of the information for non-commercial purposes by you or within your organization only. In consideration of this consent, you agree that copies of the Web site information will retain all copyright and other proprietary notices and that you will not modify the Web site information in any way. Except where your use constitutes “fair use” under copyright law, you may not otherwise use, download, upload, copy, print, display, perform, reproduce, publish, or distribute any Web site information, in whole or in part, without the prior written consent of AZ Hand Trucks LLC..
Certain restricted product information is available on this Web site only to licensed customers of AZ Hand Trucks LLC. that are registered to receive information via passwords issued by AZ Hand Trucks LLC. This restricted information is considered confidential and proprietary information of AZ Hand Trucks LLC. If you are a registered customer or a representative of a registered customer, AZ Hand Trucks LLC. authorizes you to download, copy, distribute and use the restricted information for yourself or, if applicable, only within the customer organization, and only for the intended purposes authorized by AZ Hand Trucks LLC. Issuance of a registration password is conditioned on the customer’s use of the information in accordance with the terms of its license or service agreement with AZ Hand Trucks LLC. You shall not transfer your password to unauthorized parties. You will immediately notify AZ Hand Trucks LLC. of any unauthorized use of your password. You are responsible for use of your password. You will not attempt to gain unauthorized access to any Web site information or area within this Web site. Certain information available on this Web site is provided by other parties, particularly information about such other parties. You understand that all such information, data, text, software, music, sound, photographs, graphics, video, messages, or other materials, are the sole responsibility of the originating party and that AZ Hand Trucks LLC. has no responsibility for such content and does not guarantee the accuracy, integrity or quality of such content. In no event is the inclusion of a statement about another party, a reference to such other party or a Web link to another party’s Web site an endorsement of such other party, their products or their services. 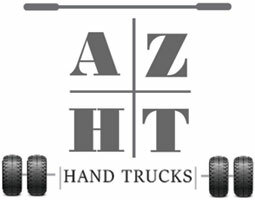 You may link to the AZ Hand Trucks LLC. home page, but are not authorized to link to any other page on the AZ Hand Trucks LLC. Web site without the prior express written consent of AZ Hand Trucks LLC. provided that AZ Hand Trucks LLC. reserves the right to withdraw this consent at any time in its discretion. You may not use any of AZ Hand Trucks LLC.’s proprietary logos, marks, or other distinctive graphics, video, or audio material in your links. You may not link in any manner reasonably likely to 1) imply affiliation with or endorsement or sponsorship by AZ Hand Trucks LLC. ; 2) cause confusion, mistake, or deception; 3) dilute AZ Hand Trucks LLC.’s trademarks, service marks or trade names; or 4) otherwise violate applicable law. AZ Hand Trucks LLC. makes no representations or promises to develop, provide or market any software, service or product discussed on this Web site, and you shall not rely on the information provided or the prospect of availability of any software, service or product currently in development or currently anticipated to be made available in the future. Web site information may refer to products, programs or services that are not available in your country. Consult your AZ Hand Trucks LLC. representative for information about the products, programs and services that may be available to you. Any software that is available for download from this Web site is the copyrighted property of AZ Hand Trucks LLC. and/or its suppliers. Any use or reproduction of any such software and warranties as to such software, if any, are governed by the terms of the license agreement applicable to that software. Any use of any other product or service and warranties as to such product or service purchased by you using, or in connection with, this Web site, if any, is governed by the terms of the agreement applicable to that product or service. AZ Hand Trucks, LLC manufactures custom dollies at affordable prices made in the U.S.A. We have a passion for creating heavy duty hand trucks / dollies with a patented brake system. Industries served include moving companies, construction, landscaping, inflatables, automobile, raceway, athletic teams, fitness industry, vending, and more. All Rights Reserved. Copyright © 2017 AZ Hand Trucks LLC. Developed by Spider Web Development.